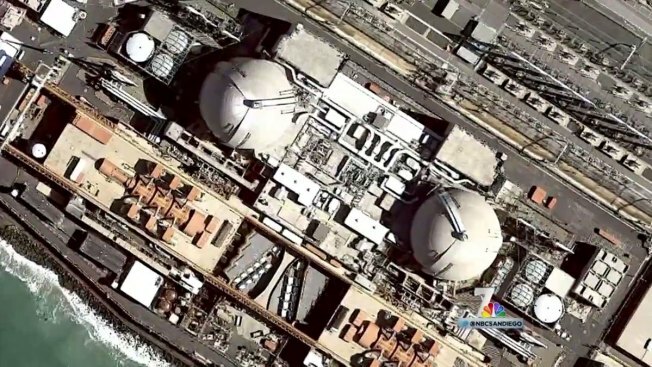 San Diego County Supervisor Dianne Jacob called the latest details revealed in an NBC 7 Investigates story about the condition of land at the San Onofre Nuclear Generating Station (SONGS) site "extremely troubling." On Monday, Jacob told NBC 7 Investigates Southern California Edison (SCE) needs to tell the public what condition the land is in at the SONGS. Click here to see the complete investigation and read the letters from the Navy. SCE has not responded to questions about the information revealed in the letters. In a statement sent to NBC 7 Investigates on Oct. 2, 2015, after a previous NBC 7 Investigates story aired, SCE spokesperson Maureen Brown said, “There is no current radiological contamination” and “readings (at the SONGS property) are normal background radiation levels." One of the letters from the Navy was sent to SCE’s Manager of Government Lands Messeret Yilma a month before that NBC 7 Investigates story aired. That story detailed secret negotiations happening between the Navy, SCE and San Diego Gas and Electric to discuss the condition of the land where SONGS sits. SCE leases the land in and around SONGS from the Navy. That lease is set to expire in 2023. According to the lease, any contaminated land is to be restored for unrestricted use by the Navy. The dynamic can be described in a simple equation: the more the land is contaminated, the more cleanup is needed to satisfy the Navy. The more extensive the cleanup, the more money it costs the utilities. “It raises a big question that needs to be answered,” Jacob said. “Not only do we want the spent nuclear waste out of San Diego, but we don't want the contaminated property there either. So good for the Navy for calling it out; the public needs answers." A plan to store nuclear waste from San Onofre in North County was approved but is being challenged in court.